On Saturday, October 17, 2015, Montessori Children’s House came out to support Play & Learn’s Trot for Tots 5K and Kids Fun Run event. In addition to the adorable kids and athletic runners, there was music, face painting, and lots of entertainment. The event was enjoyed by all. Montessori Children’s House is the sister organization to Play & Learn early childhood education centers. 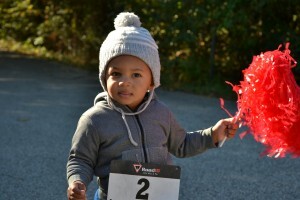 The Trot for Tots 5K and Kids Fun Run is held each year to support Play & Learn’s Granny Scholarship Fund, a tuition assistance program for families facing financial difficulty.